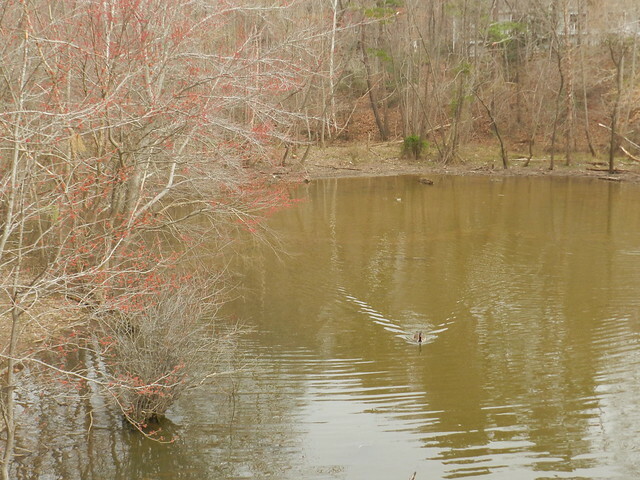 Each day brings further signs of spring in my neck of the woods. Looking at the extended forecast I saw we may get a spring snow next weekend but I never pay too much attention to predictions 7 days away. It always surprises me how weather predictions try to guess beyond a day or two in advance and even with the next day predictions they can miss the mark. 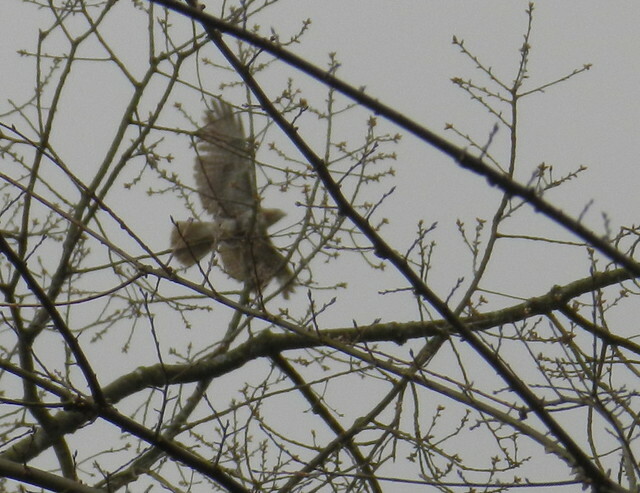 Below is a shot of a hawk that was chasing another hawk above me while I stood on my deck; they were too fast for me to get a shot of both of them. 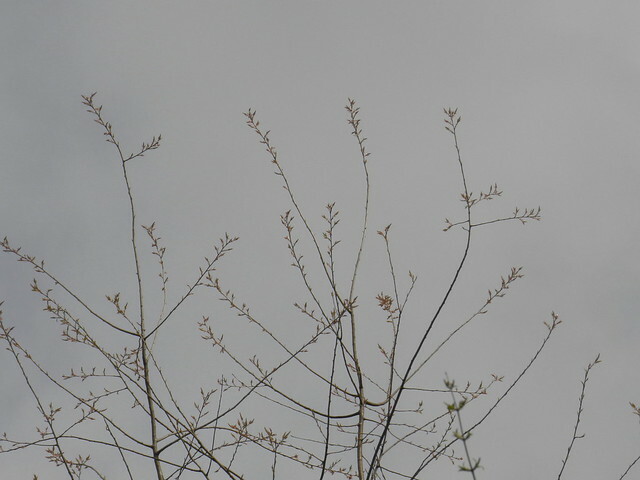 I love the feathery look of early leaves on trees. We had a lot of rain over the past week. 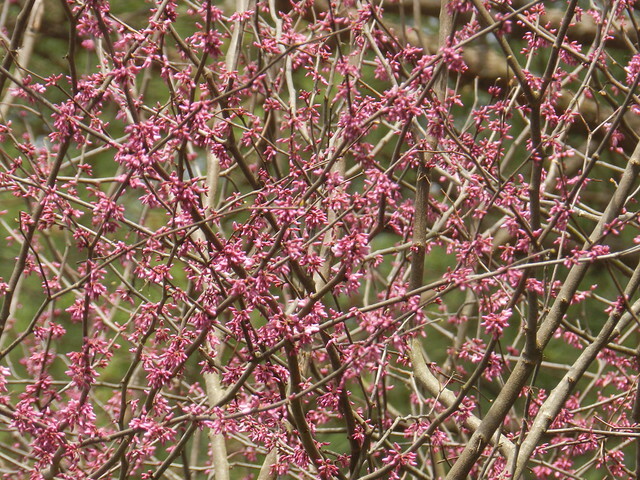 Redbud trees are amongst the first trees to flower in my yard. My white camellia buds haven't opened yet. 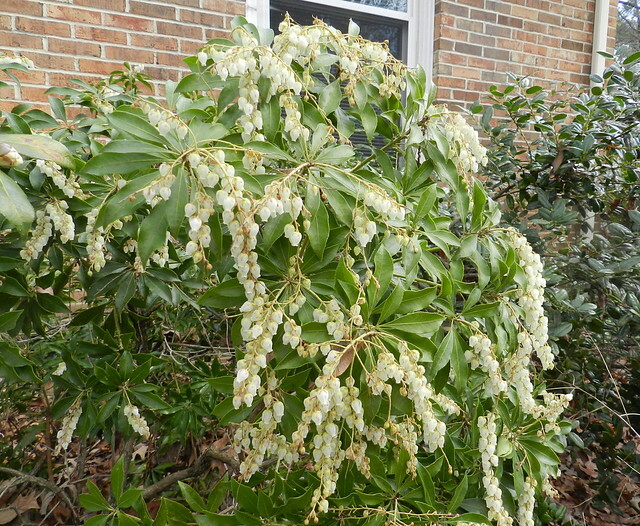 I have a japonica pieris bush beside the camellia bush in front of my house. 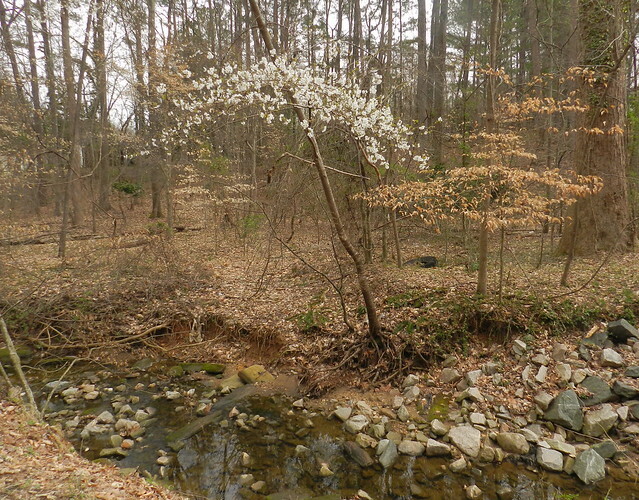 A few trees are starting to flower in the woods leading up to the lake I frequently walk around. 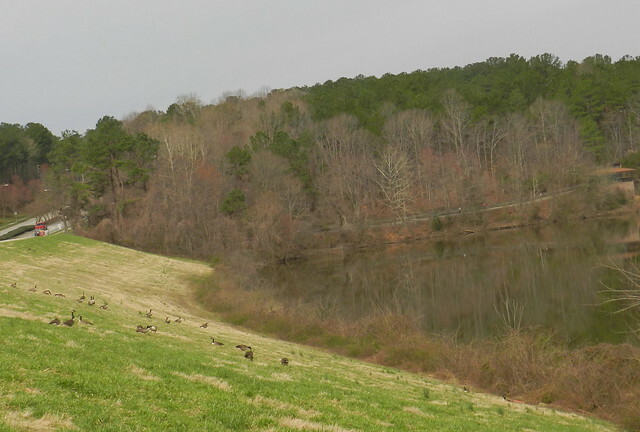 The evergreens are the tall trees and the feathery deciduous trees are beginning to think about leaves or flowers. At one point the duck on the bottom was underwater so long I thought she would drown before the duck on top was done with her. 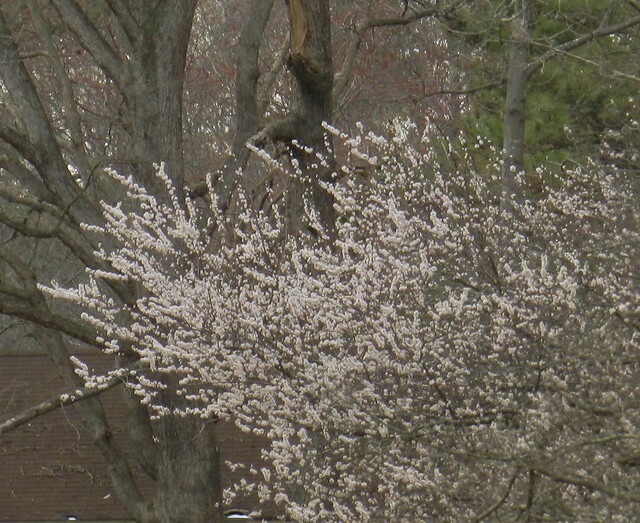 I love the little red dotted look of the flowers on the trees in the next shot. 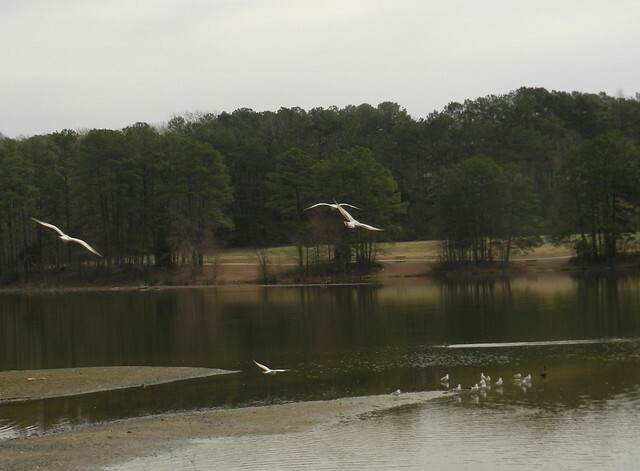 There are less and less gulls at the lake and they usually are all gone by mid spring. Some lakes have gulls year round where I live but Shelley lake mostly has gulls in the fall and winter. Below the forsythia is like a window of sunshine. 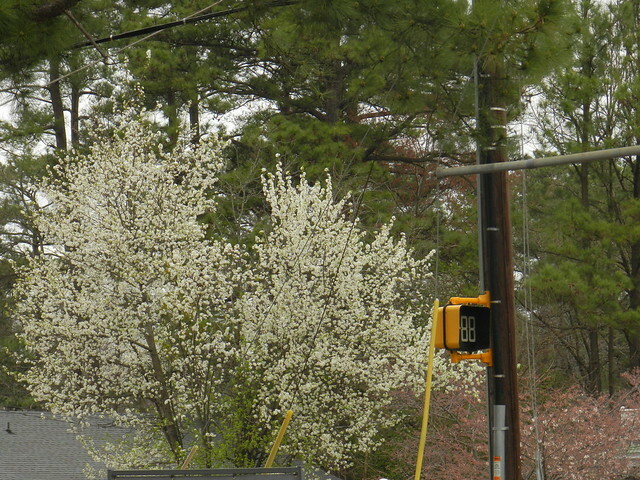 I had my camera around my neck on a trip to the grocery store so I caught some flowering tree shots at the stop light. 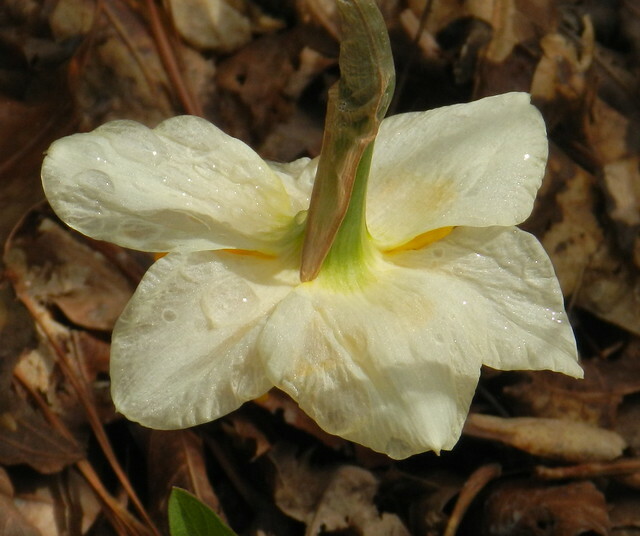 The bent yellow head of the daffodil looks so lovely and humble. 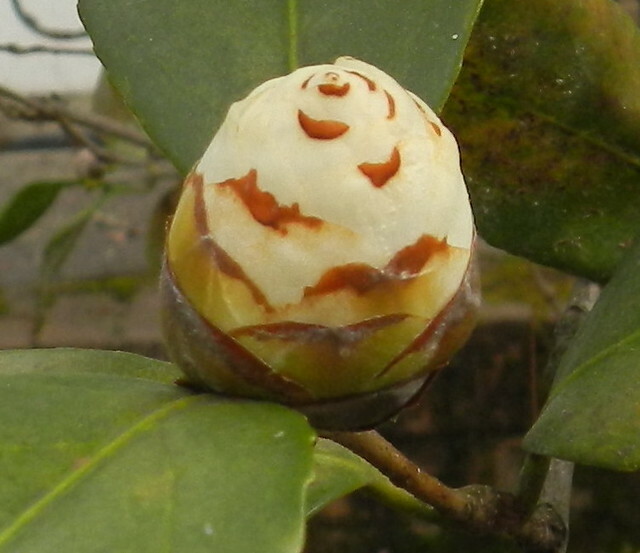 The camellia bud looks as tasty as vanilla ice cream with a swirl of chocolate. It's a beautiful time of the year. Happy spring!!!!! Beautiful spring photos! Have a great week. Oh, you really do have spring! Love all the buds. The birds seem happy. We still have snow, although it melts the day after it falls. Oh how I love your week! Thanks for letting me experience it vicariously. 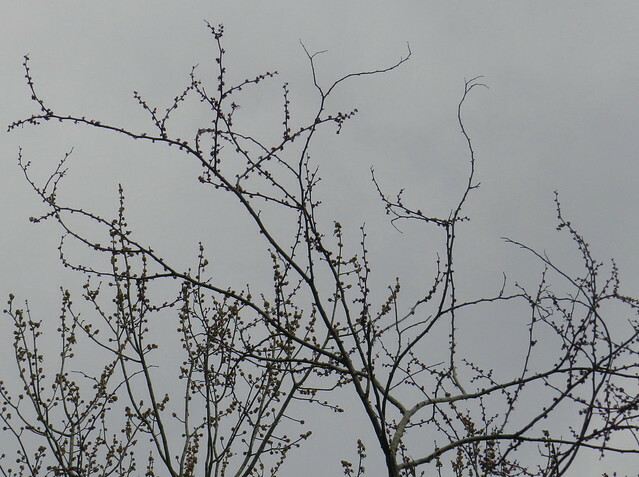 All pictures wonderful as always, but I'm fascinated by the beauty of that minimalist one - just the barely budding branches against the blue sky, so lovely; kind of reminds me of a Japanese pen and ink painting. Lovely Spring views. Plenty of blossom sprouting forth over here as well. 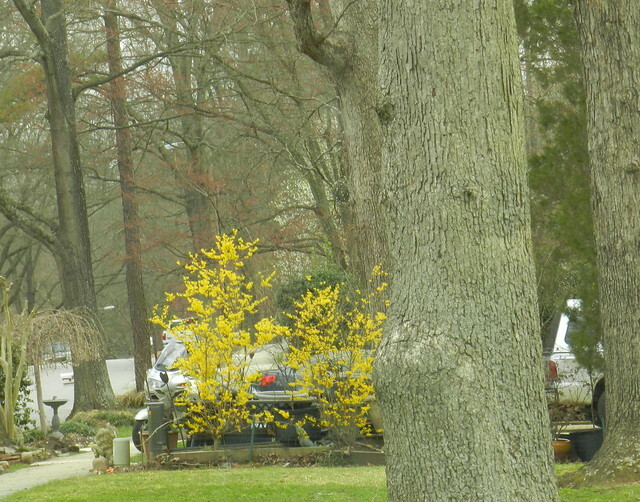 Ah, beautiful hints of spring indeed, Carver!! Wonderful captures as always!! Thanks for sharing the beauty!! Have a wonderful week!! I lol about the duck, Mum kept ducks, and I see ducks mating. everything is so alive. The bud looks like an icecream cone. What lovely signs of spring! We are recovering from a snowfall. A great spring series Carver! Love that hawk shot! pretty spring images. no spring here yet. Absolutely beautiful Spring time nature shots! I love the signs of Spring. You always show adorable images!